Dreaming of sun and sand? Stuck in a cubicle with cold winds lashing against the frosty windows? Or do you just need a few tips to help you plan your next beach trip? We are putting together our ultimate “best beaches in the world” list. Unlike other lists out there, this is no mass-produced product thrown together with stock photos. We have personally been to (and totally loved) each of these extraordinary beach destinations and snapped the photos ourselves. Enjoy! Location: Outside the town of Tulum in the Mexican state of Quintana Roo. What’s Cool: The sand in Tulum almost seems to glow magically making it just a bit more beautiful than other white-sand beaches. As we were relaxing in the heat with a cold beer after an amazing day exploring the Mayan ruins situated at the northern end of the beach, a flock of flamingos flew directly overhead. Amazing! This is also a fantastic place to learn to kiteboard. With pyramids, perfect sand, gorgeous water, iguanas and the occasional flock of flamingos, Tulum earns our top spot on the list of best beaches in the world. Location: In the reserve on the Paracas Peninsula in Peru. 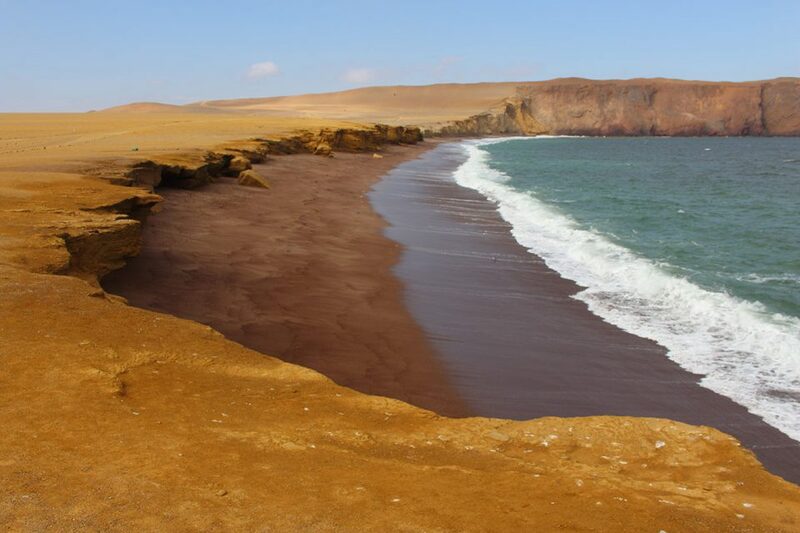 What’s Cool: A surreal red beach backed by the mustard-yellow sands of the Paracas coastal desert. This is no tropical paradise, but we loved the psychedelic views as well as the seals and penguins along the coast and the offshore islands. And don’t miss the huge candelabra glyph carved into a nearby coastal dune. Location: The sandbar connects tiny Smith and Ross Islands just off the coast of Northern Andaman Island in the Andaman Island Archipelago. The island chain is part of India, but it sits in the middle of the Indian Ocean halfway between mainland India and Thailand. What’s Cool: This super-remote island paradise is beyond gorgeous. The island’s unique, winding sandbar and its status as a nature reserve put it a step above all the other perfect white-sand Andaman beaches. After we climbed out of the bathtub waters, we lay on the beach in the shadow of the dense Andaman jungle and photographed the bright red crabs. Beautiful. What’s Cool: This is our choice for the world’s most phenomenal city beach (and we’ve seen A LOT of the competition.) It and neighboring Copacabana are unquestionably the epicenter of Brazilian beach culture and they totally live up to the hype. Grab a caipirinha, stretch out under an umbrella, and listen to the “Girl from Ipanema,” which is certainly playing on someone’s radio. Location: On the west coast of Bali, north of Denpasar. What’s Cool: This black-sand beauty is one of our favorites. There’s something so surreal about the volcanic Balian Beach at sunset when the jet-black sands transform into Indonesia’s biggest mirror. As the equatorial mists drift in among the palms, grab a camera or a coconut and watch the skies go bright orange. Clearly, Thomas was thrilled! Location: At the northern tip of Boracay Island. What’s Cool: Picture-perfect Puka Shell Beach is straight out of the brochures. The strip of powdery white sand recalls the glorious past of world-famous Boracay Island, the stuff of traveler legends. 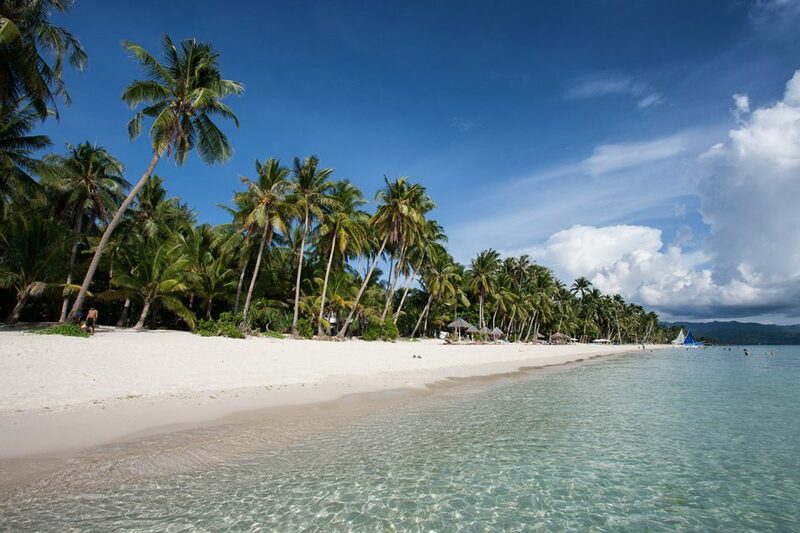 Yes, after years of overdevelopment and environmental abuse, some will rightfully complain that we are including a Boracay beach on our list of the best beaches in the world. But there is something truly unique about Boracay sands, and we pay homage to the one surviving stretch that Filipinos found the strength to protect. Location: Southwestern Morocco just south of the village of Mirleft. Location: On Cuba’s resort island Cayo Largo del Sur. What’s Cool: Cayo Largo’s Sirena Beach is one of Cuba’s not so hidden secrets. Miles of fine white sand where Canadian and European tourists frolic au naturel in calm aquamarine awesomeness. One note on climate change: one Canadian tourist told me that 15 years ago, she could walk along this beach in the shade of palms. 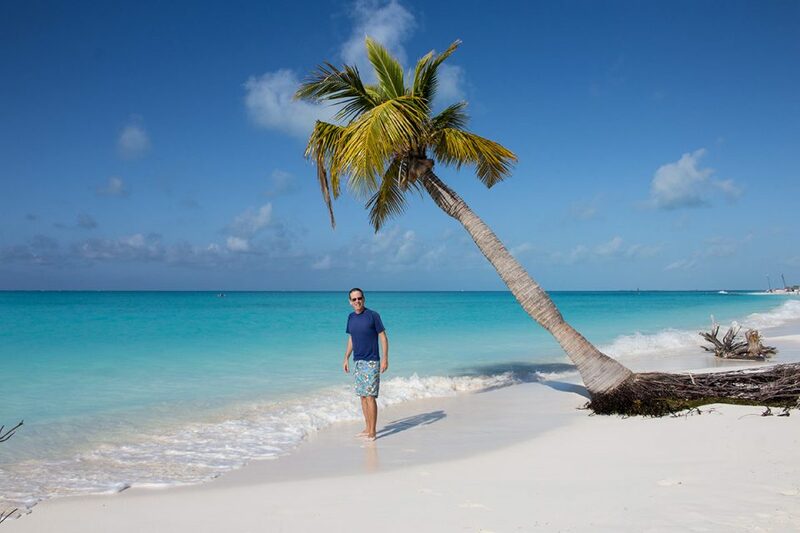 Today rising sea levels have taken all but this lonely palm off the beach… and I don’t know how much longer this little rebel will last. This picture is a piece of history! Location: On the western half of the island of Sumba in Indonesia. What’s Cool: Ratenggaro feels like something out of an Indiana Jones movie with towering tribal huts rising up from the hills behind the beach and wild stone megaliths and wooden totems dotting the coast. Local tribesmen walk around with swords on their belts and, every now and then, they still use them, so be very cautious and culturally sensitive when entering villages. 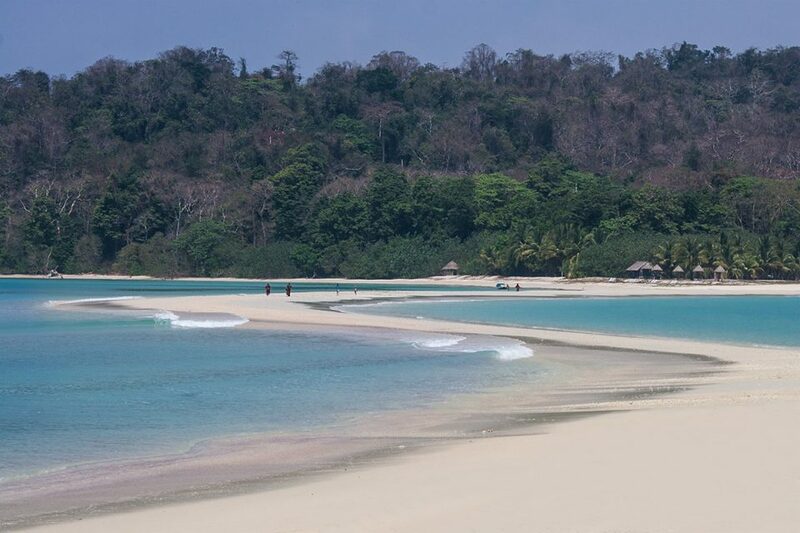 All of Sumba’s beaches define the word remote. 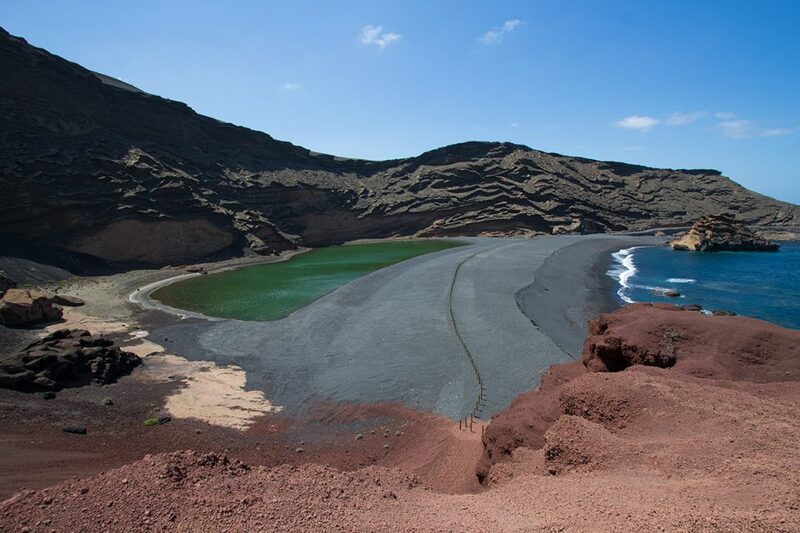 Location: On the southwest coast of Lanzarote Island in the Canary Islands just south of the village of El Golfo. What’s Cool: Gnarled red and black volcanic cliffs, grey-black sand, cobalt blue waters, and a green volcanic lagoon make this one of the most unique beaches in the Canary Islands and the world. It feels like a beach on a distant planet. Location: Southern Sri Lanka, running east from the town of Tangalle. 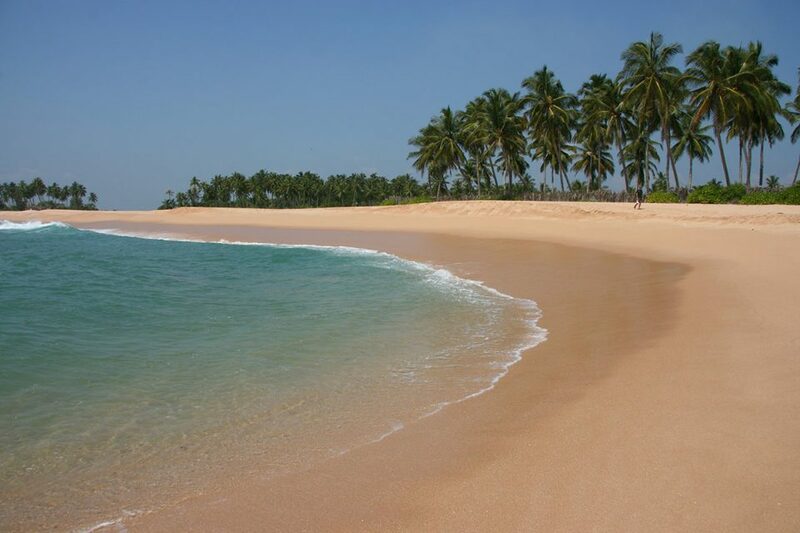 What’s Cool: Miles of stunning golden sand backed by swaying palms and shady pandanus trees, the remote sands of Tangalle are made for walkers. Wildlife enthusiasts will find troops of langur monkeys, giant monitor lizards, and a maze of mangrove waterways made for kayaking birders. One warning: the waves here can be savage, so swimmers should look for protected pools which form behind sandspits. Location: On the west coast of Pulau Perhentian Besar, near the Perhentian Island Resort. 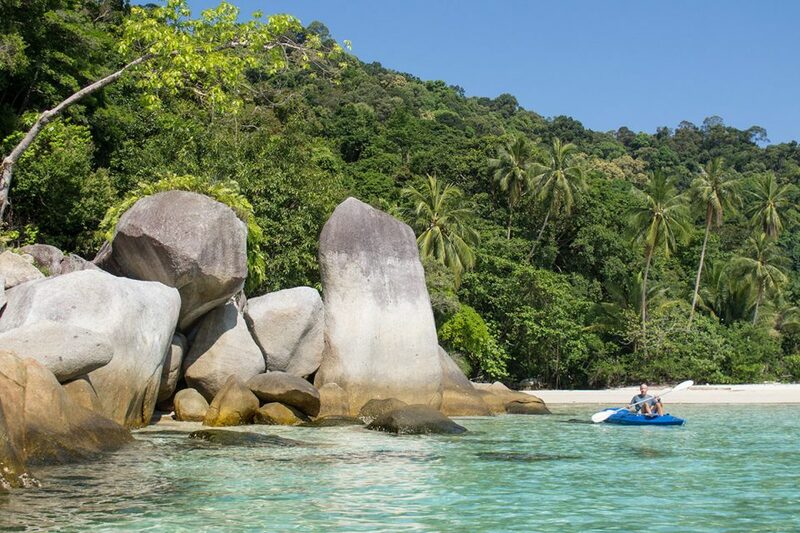 What’s Cool: The rocks and crystal waters of Teluk Puah Beach (and nearby bays) are a tropical dream. 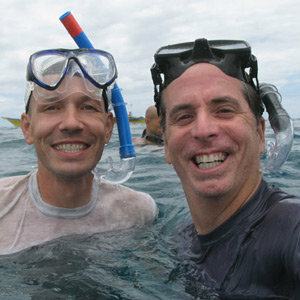 The clearest water we have ever witnessed was on one particularly calm day on this beach. Pure glass. We also saw a large sea turtle and tons of blacktip sharks in these waters, so bring your snorkeling mask or even consider diving Pulau Perhentian. 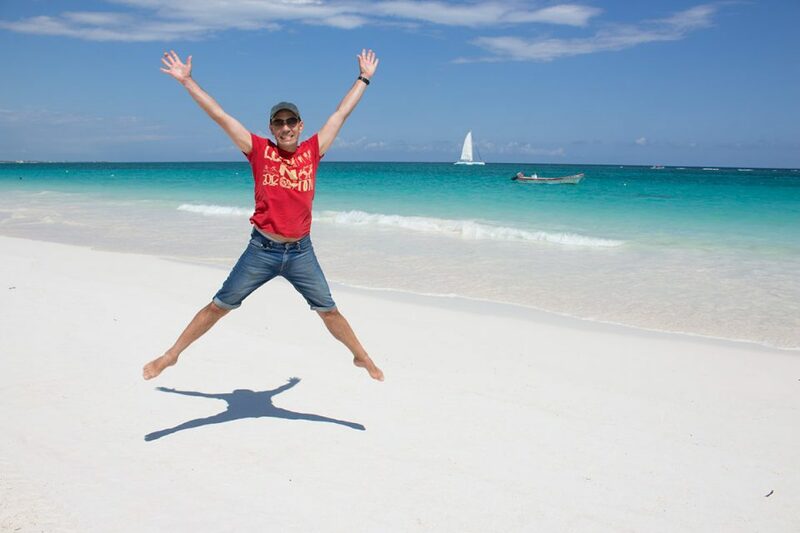 Location: The northern tip of Zanzibar Island in Tanzania. What’s Cool: The sight of an African dhow drifting across the glassy turquoise waters of one of Africa’s most legendary islands. 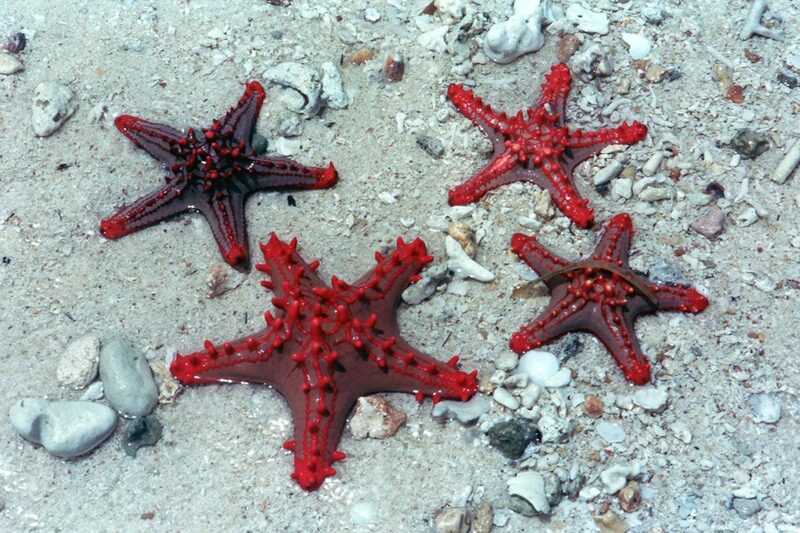 We also loved the bright red starfish that wash up on the coral-strewn shores. Location: Estoril, Portugal (just outside of Lisbon). What’s Cool: In a country filled with perfect beaches, this relatively urban choice may seem strange. 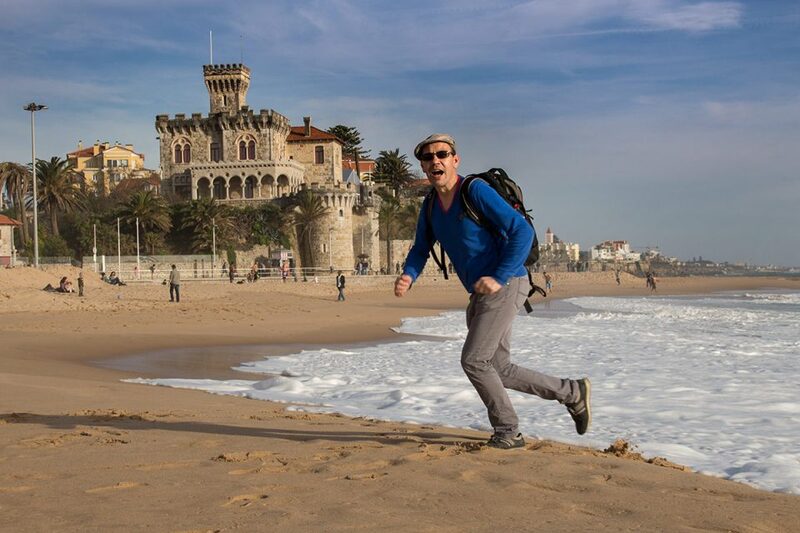 But where else can you lie on the golden sand and gaze up at a Portuguese castle sitting smack-dab on the beach. Also loved the great coastal walk from Cascais all the way down to the cliffs of Praia da Azarujinha – there are plenty of beautiful coves to discover. Location: In front of the ranger station on Koh Adang in the Tarutao National Park in southern Thailand. These are just the first 15 beaches on our expanding list of best beaches in the world. We will be adding many, many more in the future. And ranks will shift as we add new entries. Tell us about your favorite beaches around the world in the comment section below. I loved Koh Adang. Camped there for two weeks, spent every day in the water. But isn’t the sand spit on Lipe? There is a very famous sandspit on Koh Lipe just across from Koh Adang, but there is another one on Koh Adang as well. The one on Koh Adang does shift more dramatically in size and shape and perhaps it was partially underwater while you were there depending on when you visited. We loved the Koh Adang much more because there were far fewer people and boats there while we were visiting. Ko Phi Phi Don….is mine !! Koh Phi Phi 1990 would be my #1 beach. After the build up, it has fallen off the list. This list is a real present for a beach lover like me, thanks for the article?? Coming from Indonesia, you know why whenever I travel it’s a bit hard for people to convince me that their beach is the best in the world. 😉 Some beaches outside the country were surprisingly beautiful, though. For those looking for lesser known beaches, I’d recommend Tai Long Wan in Hong Kong’s New Territories (a friend of mine thought the photo I took from that beach was somewhere in eastern Indonesia). 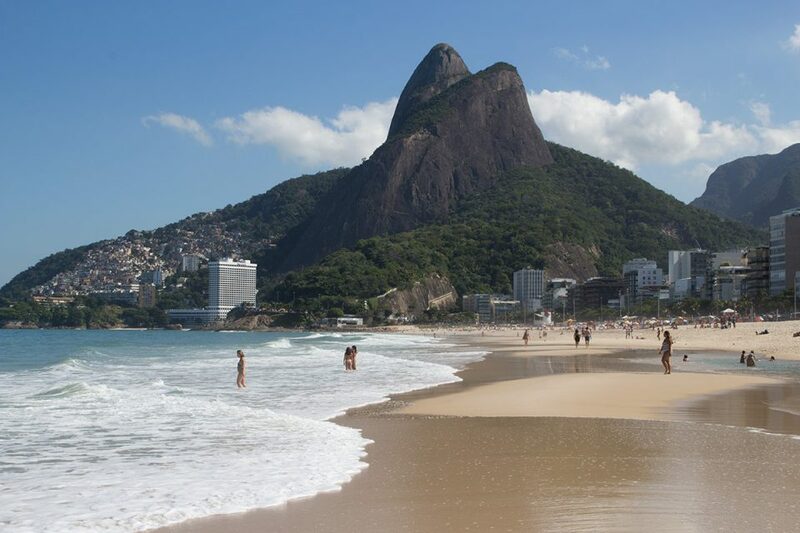 As for myself, I definitely want to see Ipanema and Copacabana for the Sugarloaf Mountain in the background makes this part of Rio so iconic and beautiful. You are quite right, Bama. Indonesia has spectacular beaches. We had to force ourselves not to publish 15 beaches just from Indonesia. 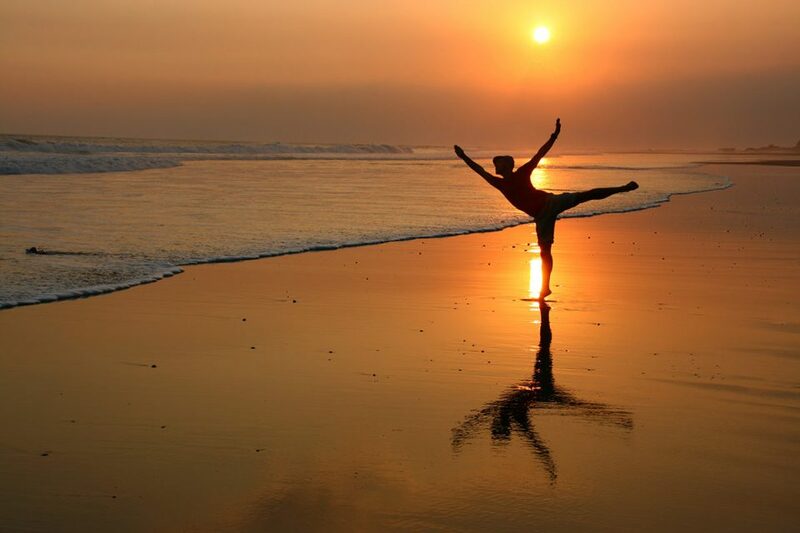 As we are expanding our list, we’ll be adding more and more of those gorgeous Indonesian beaches. Also, I just googled Tai Long Wan, it’s quite beautiful. We’ll definitely have to go there next time we are in Hong Kong.